Unprecedented Campaign Against Cetacean Captivity In The Paris Metro ~ Site national de l'association C'est Assez ! On May 2nd 2017, French NGO C'est Assez ! launched a new awareness campaign that had never been done in France before. 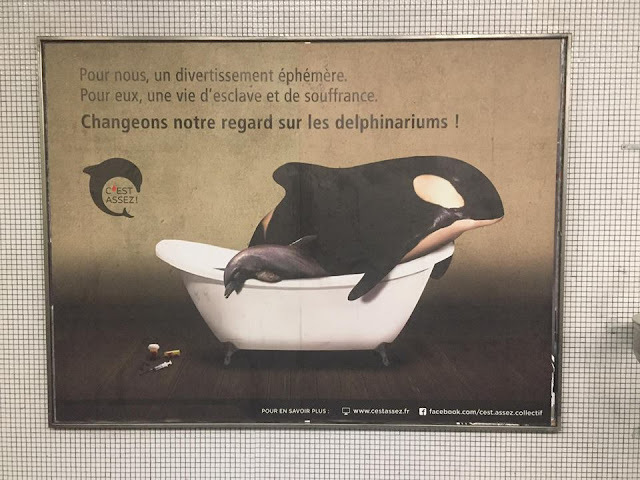 More than 270 large posters showing a dolphin and a killer whale in a bathtub can be seen in the corridors of the Parisian subway. The posters display catchphrases meaning: "It's just a temporary entertainment for you. It's a lifetime of slavery for them. 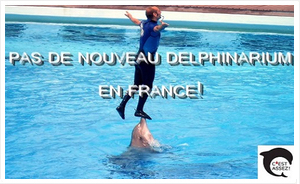 Let's change our perceptions of dolphinaria." 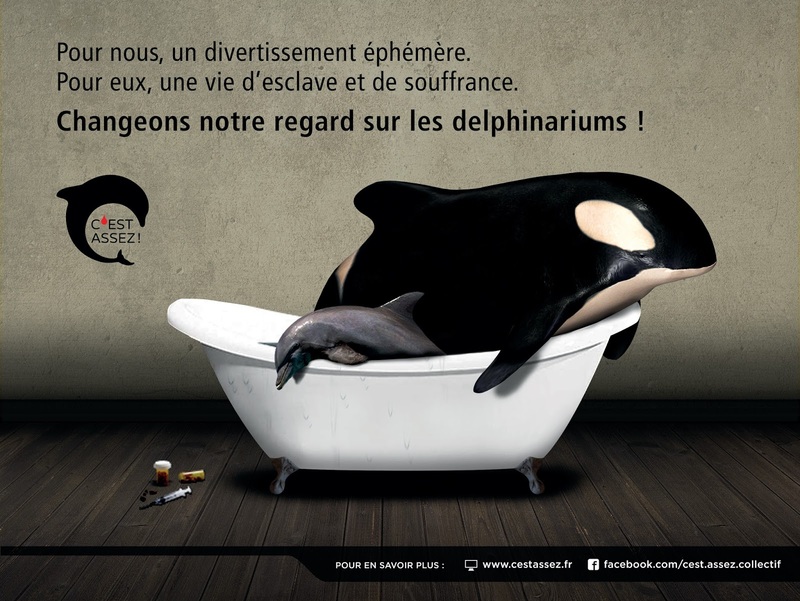 This thought-provoking campaign aims at raising awareness and making people change their minds about dolphinaria. 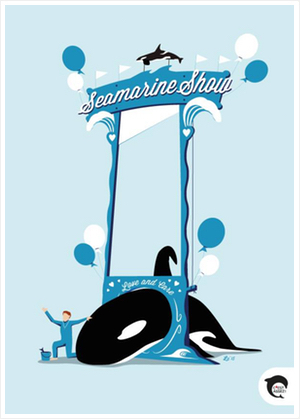 Indeed every year, many people visit marine parks like Marineland, Planète Sauvage or Parc Astérix. These people want to have a good time with their family or friends. They buy a ticket for a dolphin show because they are deeply fascinated by these animals and genuinely love them. However most of them are unaware of the pain and suffering endured by captive cetaceans. We must stop lying to our kids. We need to explain why dolphins and killer whales suffer in captivity. Dolphins may seem to be always smiling but that does not mean they are happy. No tank, as large or deep as it may be, will ever replace the ocean for these sentient beings that can swim long distances, have complex social structures and strong bonds in the wild. From January 2015 to October 2016, 9 cetaceans – 2 killer whales, 6 dolphins (and one stillborn calf) died in the three French marine parks. Despite daily care and monitoring the mortality rate is higher in captivity than in the wild. That is the reason why C'est Assez ! hopes this campaign will encourage people to get informed about the impacts of captivity on cetaceans. As summer is coming, we want the public to think twice before visiting one of these parks, and before buying a ticket for a dolphin show. Let's change our perceptions of dolphinaria!